At dhealth Dentistry in Camberwell, Victoria we offer a range of advanced orthodontics solutions for all types of patients, at any stage of life. If you’re suffering from crooked teeth or crowded teeth, then chances are that you’re in need of some one (or maybe even a combination) of our orthodontics solutions. Rest assured, with Dr Danylak and the dhealth Dentistry team on the case, your orthodontics needs will be completely fulfilled. We always begin with a thorough assessment of your specific needs, and will then tailor an orthodontics solution just for you. 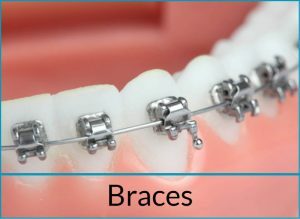 Braces: These are the tried and true method of rectifying crooked, crowded teeth and misshaped teeth. The process involved in treatment through braces can take time, but the results are long-lasting and have stood the test of time. Whether you are a parent, looking for a caring, gentle dental team to look after your child, or an adult wanting a straighter smile, Dr Anna and Dr Stefan Danlyak are here to help. 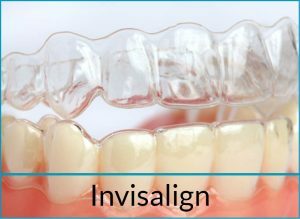 Invisalign: The latest innovation in teeth straightening, Invisalign is an almost invisible system. It is comprised of clear plastic, removal retainers that need to be worn all the time. If you opt for this style of treatment, then you’ll change your retainers every couple of weeks, and need to pop in to see the team for regular check-ups. This is a great orthodontics solution for older patients who may be embarrassed at the thought of having to wear braces as an adult. 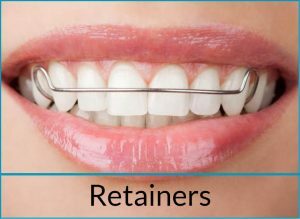 Retainers: If you have undergone treatment for crowded or crooked teeth using braces, then chances are, this will need to be followed by wearing a retainer for some time afterward. Retainers are a key phase in the teeth straightening process, helping to maintain the new position of your teeth. Usually, you’ll only need to wear your retain at night, when you’re asleep. 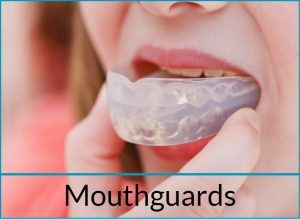 Mouthguards: If you play any kind of sport, regardless of whether it’s a contact sport or not, then opting to wear a mouthguard is always a good idea. Mouthguards protect your teeth and gums from much more serious injury, and can even help prevent the loss of a tooth. It’s much cheaper to be fitted for a custom mouthguard, than to have to undergo extensive treatment for missing teeth.